In these days of danger, trouble, and evil, "New York Times "bestselling author Joseph Prince reveals how God's children can have round-the-clock protection through the power of prayer. THE PRAYER OF PROTECTION unveils the Bible's ultimate psalm of protection, Psalm 91, to help you understand more about how God guards His children. Joseph Prince offers simple keys and practical advice to finding and resting in the secret place of the Most High, where no evil can even come near you. You'll begin to live unafraid and with boldness as you allow the certainty of your heavenly Father's love and the sure promises of His Word to guard your heart against every fear. Come under the wings of the Almighty and live life divinely protected, positioned, and free from all fears with our covenant-keeping God! 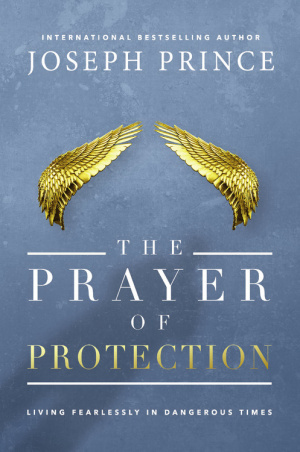 The Prayer of Protection by Joseph Prince was published by Little, Brown & Company in November 2016 and is our 21274th best seller. The ISBN for The Prayer of Protection is 9781455569120.